Just started using within the last year. Seems to work at a deeper level. As we age in this increasingly challenging world‚ it is clear that one of the best ways to protect our foundational state of health is by protecting the integrity of our DNA and cells. With our exclusive ingredients‚ processes‚ and years of meticulous research‚ we’ve created something never before offered to support you in this quest. 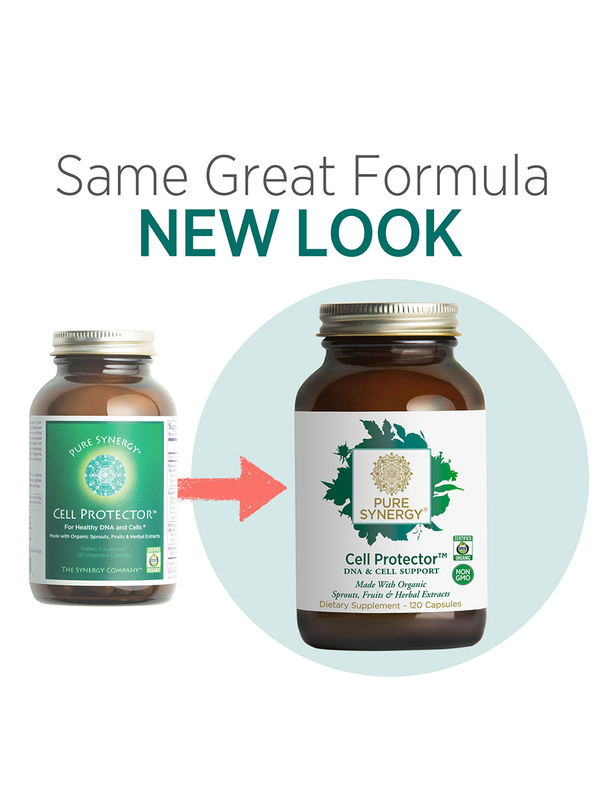 Cell Protector™ unites an unrivaled array of the most effective‚ scientifically backed whole foods and botanicals designed to promote true cellular and whole body wellness. With Cell Protector‚ you get daily peace of mind that your DNA and cells are being cared for in the very best way possible. 1) Supports and protects healthy DNA. 2) Promotes our own natural and essential regeneration of glutathione – our bodies’ master antioxidant. 3) Reinforces healthy cellular detoxification. 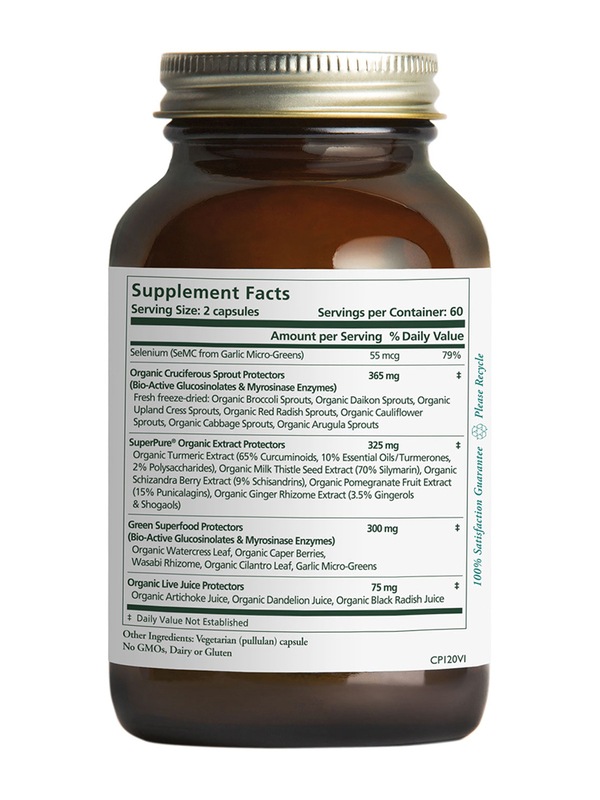 4) Nourishes‚ fortifies and protects healthy liver function. 5) Contains a synergistic‚ organic blend of 20 bioactive whole food ingredients known to support‚ nourish and protect cellular health. 6) Includes 15+ highly researched‚ beneficial glucosinolate phytonutrients plus the requisite and very elusive myrosinase enzyme. 7) More complete‚ balanced and tested than typical “detox” and antioxidant formulas. Who Should Take Cell Protector™? 2) Those who wish to support their healthy aging process. 3) Those concerned with day to day exposure to environmental pollutants. 4) Those with health conditions and/or family history of such. 5) Those with a history of or current high exposure to toxins and chemicals. Fresh freeze-dried Sprouts: Broccoli*; Uplandd Cress*‚ Daikon*‚ Red Radish*‚ Cauliflower*‚ Cabbage*‚ Arugula*. Artichoke Juice*‚ Dandelion Juice*‚ Black Radish Juice*. Gluten‚ Dairy‚ Additive and GMO free. Because Cell Protector™ is a concentrated product‚ just two capsules daily on an ongoing basis offers you comprehensive support for healthy cellular detox and DNA protection. 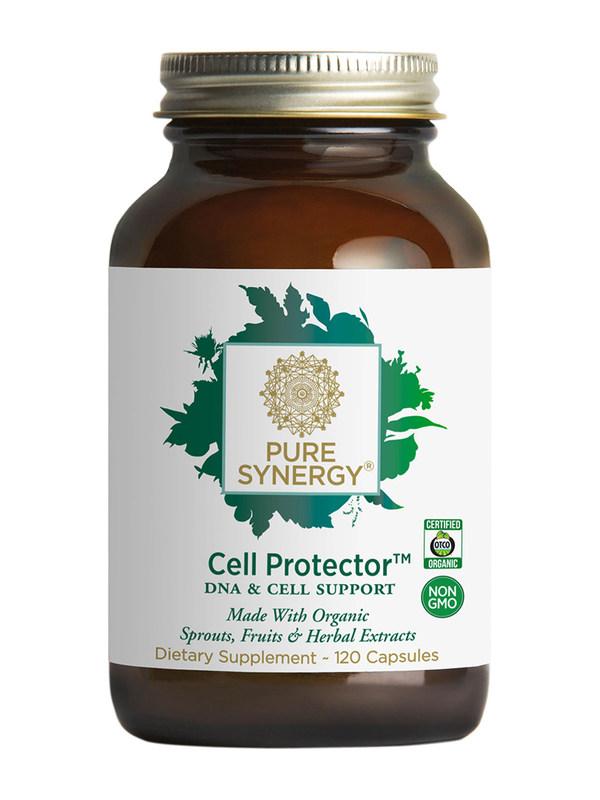 Cell Protector works synergistically with any of our other products or on its own. At just two capsules daily‚ it’s easy and affordable to add to your regular routine on a long-term basis (which we highly recommend for optimal benefit). For those who may need additional support or who are more vulnerable to toxic damage‚ you may consider increasing your daily serving size to 3 or 4 capsules in divided doses. Get peace of mind that you are taking care of your cellular aging process in the best way possible! - Take 1 capsule twice daily with food for optimal maintenance. 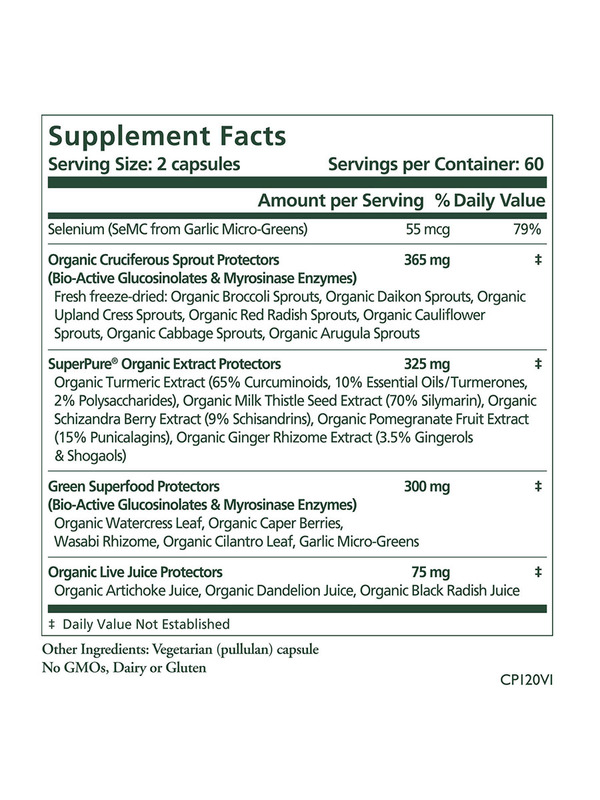 2 capsules twice daily with food may be taken when high-level protection is required.